Dr. Ketan Vartak is a great human being & very hard working. He is amongst the Best Urologist in Pune. He is a rare combination of a brilliant surgeon with great humility. He has treated many patients having urological disorders. Dr Ketan Vartak is working as a senior consultant Urologist in Pune with Pramodini foundation, Pune which is a state of art urology facility with a variety of equipment for endourology including flexible ureterorenoscope and cystonephroscope. He is practising for the last 8 years in Pune. As the practice of Urology and Andrology is constantly changing, the cornerstone of good Urological and Andrological care remains that of mutual understanding, respect and trust between the patient and the Urologist. 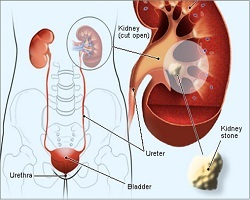 Our aim is to offer the highest standards of Urological & Andrological treatment in Pune for our patients suffering from Kidney stones, Ureteric stone, Bladder stone, Enlargement of Prostate, Kidney Cancer, Bladder Cancer, Prostate Cancer, Erectile Dysfunction & Impotence, Male Infertility amongst other Urinary Disease. Laparoscopic surgery, also called minimally invasive surgery (MIS), bandaid surgery or keyhole surgery, is a modern surgical technique in which operations are performed far from their location through small incisions (usually 0.5–1.5 cm) elsewhere in the body. 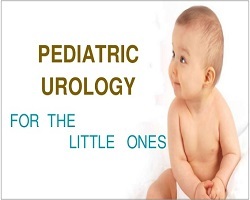 Pediatric urology concerns urologic disorders in children. Such disorders include cryptorchidism, congenital abnormalities of the genitourinary tract,enuresis, underdeveloped genitalia and vesicoureteral reflux. This hospital is a state of the art hospital and has the latest technologies to treat any urology related infections, stones etc. It also boasts of one of the best urology doctors who comes with a vast amount of knowledge and experience. Dr Vartak is a brilliant doctor and puts in alot of effort to ensure his patient is comfortable in the hospital. I would definitely recommend Dr Vartak to anyone. Dr. Ketan with his vast expertise in the field of Urology helped me out, amazing facilities are available at the hospital. Dr. Ketan Vartak is working as a senior consultant Urologist in Pune with Pramodini Foundation, Pune which is a state of Art Urology Facility with a variety of equipment for Endurology including flexible Ureterorenoscope and Cystonephroscope. He is practicing since last 8 years in Pune. As the practice of Urology and Andrology is constantly changing, the cornerstone of good Urological and Andrological care remains that of mutual understanding, respect and trust between the Patient and the Urologist. 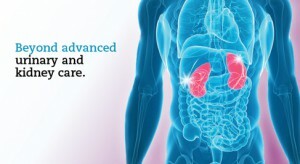 Our aim is to offer the highest standards of Urological & Andrological treatment in Pune for our patients suffering from Kidney stones, Ureteric stone, Bladder stone,Enlargement of Prostate, Kidney Cancer, Bladder Cancer, Prostate Cancer, Erectile Dysfunction & Impotence, Male Infertility amongst other Urinary Disease. 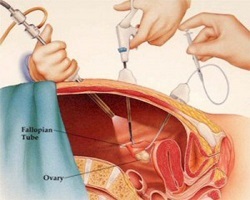 What is the advantage of Laparoscopic Surgery? How to avoid Stone Recurrence? Adequate fluid intake and change in diet will reduce the chance of another stone.